Up to 840 beds, replacing and expanding on the 440 beds in Rhodes Hall and Doan Hall; all 840 beds would be in private-room settings. The Hospital Tower will be located next to Ohio State’s Comprehensive Cancer Center, between 12th Ave and Medical Center Drive. The ambulatory center will located on Carmack Road. It will offer outpatient operating rooms, urgent care with a 23-hour observation unit, an endoscopy unit, a pre-anesthesia center, diagnostic imaging and interventional radiology. Cost estimates for each project will be determined through the design process and will require approval by university trustees. They both are in line with the University’s strategic plan and Framework 2.0, which contains the guidelines for stewardship of the physical campus. The overall goals of the plan are listed as: Promote Student Success, Support Academics, Research, and Outreach, Strengthen Access and Connectivity, Transform Natural Systems and Open Spaces. 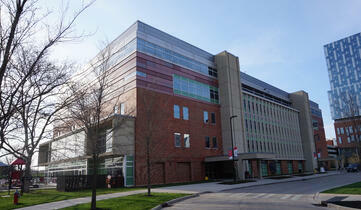 Another key element of this aligned academic medical enterprise is an interdisciplinary health sciences center. It will feature upgraded and flexible facilities to create a collaborative campus for education throughout the health sciences. This will include the colleges of Medicine, Optometry and Nursing, and the School of Health and Rehabilitation Sciences. Also in the framework plan: an interdisciplinary research facility with innovative and modern environments to serve multiple disciplines. This last fiscal year was the medical center’s most financially successful year ever. This added to the fact that the demand for patient care and medical education is greater than ever leads university officials to believe that now is the time for sweeping modernization. On Thursday, July 26, 2018, Biotechnology Calendar, Inc. will host the 18th Annual BioResearch Product Faire™ Event at Ohio State University, Columbus. 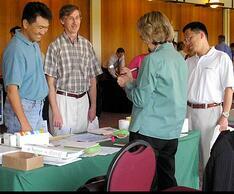 This event allows lab suppliers to meet face to face with science professionals and demonstrate their lab products. Laboratory product suppliers who wish to increase lab equipment sales should call (530) 272-6675, or visit the link below for more information. Make the most of your marketing budget by also attending the 4th annual biomedical vendor fair at the University of Cincinnation Wednesday, July 25,2018. Researchers are invited to attend this free event and can save time by preregistering through the link below.